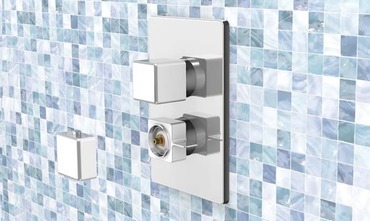 How to install FirUnico® universal built-in system, step by step, in case of a built-in thermostatic shower mixer with 2 outlets. 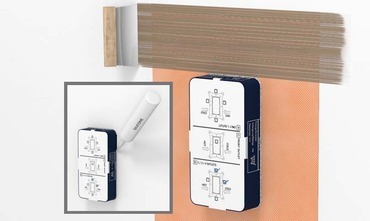 Install FirUnico® universal built-in system in 9 simple steps. 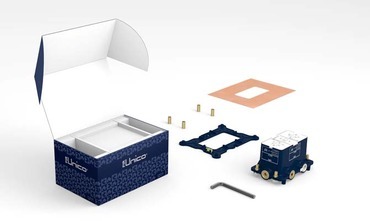 Open the box and check that it contains the FirUnico® universal built-in unit, a mounting plate, a spirit level, a PE gasket, spacers and a hex wrench. 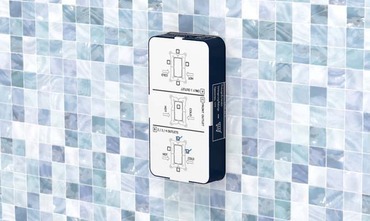 Select the outlets based on the configuration you want. 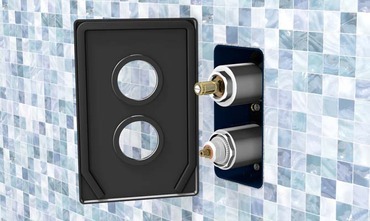 Remove the protection caps from the chosen water inlets and outlets and screw on the threaded plumbing connections. 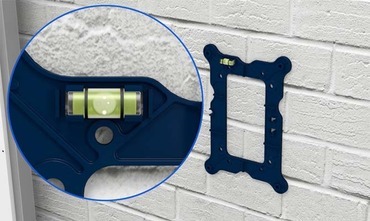 Place the mounting plate on the wall where you want to install FirUnico® and use the spirit level to ensure that the installation of the universal built-in system is precise and optimal. 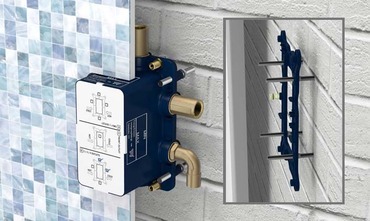 Place the FirUnico® built-in unit onto the 4 stay rods in the wall and adjust the depth with the relative nuts, making sure that the thickness of the cladding is between MIN and MAX; use the spirit level again to ensure it is level. 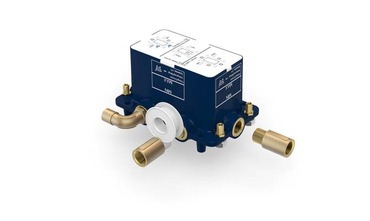 Proceed with the plumbing connections and then let the water run in order to remove any impurities present in the system. 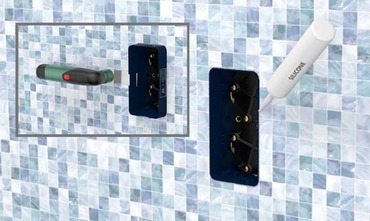 Plug the outlets and set the pressure to 3 BAR to check the watertightness of the connections. Use the plate as a reference to mark the cover panel and then proceed with drilling the holes. 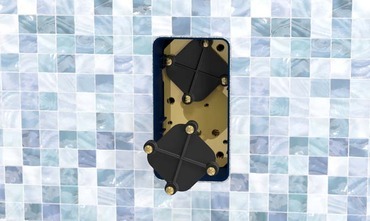 Place the panel on the wall and apply the waterproofing sealer and the gasket. 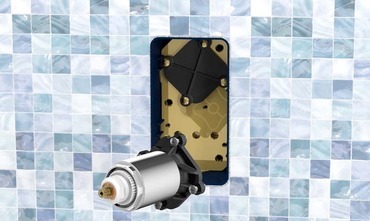 Install the external part of the mixer in 9 simple steps, in case of a thermostatic shower mixer with 2 outlets. 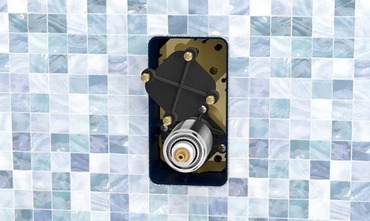 Open the box and check that it contains one mixer adapter, one 2-way diverter adapter, one plate, one thermostatic mixer handle, a diverter handle and an Allen key. 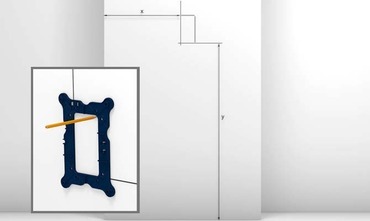 Cut the part of the FirUnico® box that protrudes from the wall and then seal the space between the box and the wall with silicone. 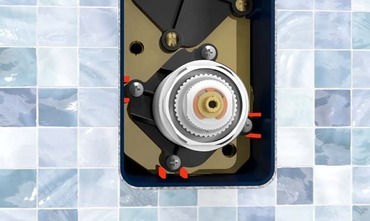 Unscrew the lower cap that corresponds to the hot and cold water inlets on the FirUnico® built-in unit. Insert the mixer adapter into the lower part of the built-in unit. 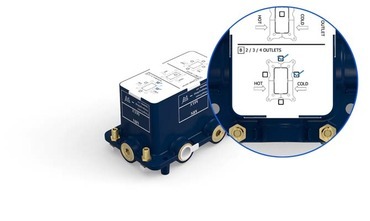 Affix the mixer adapter, using the guides on the inside of the box to help you. Tighten the screws and make sure that the cartridge is closed. 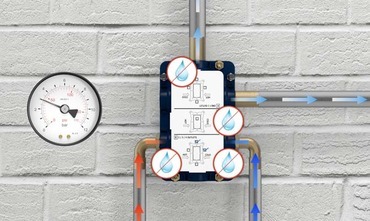 Proceed with the watertightness test by running the water. 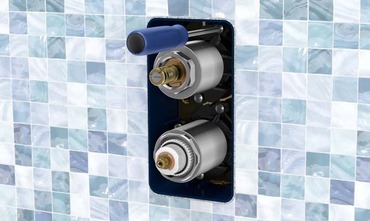 Unscrew the upper cap of the FirUnico® built-in unit, which corresponds to the water outlets. 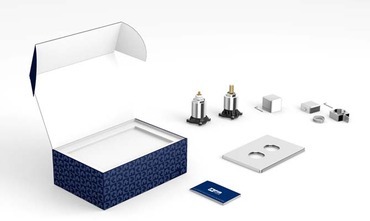 Insert the diverter adapter into the built-in unit, using the guides on the inside of the box to help you. Tighten the screws and make sure that the cartridge is closed. Test the watertightness again by running the water. Position the plate, sliding it onto the relative tubes. Assemble both on/off and temperature handle; use the Allen key to tighten the grub screw.